20% of us have tattoos and the number is growing. While it used to be primarily sailors and gangsters who were inked, the stigma of tattoos as “the mark of the bad boy” or girl, has changed dramatically in the past couple decades. Even the most respectable person may be sporting ink (70% of people with tattoos say that their tats are hidden by clothing). If you’re thinking of joining the ranks of the tattooed, here are a few safety precautions you need to take. Make sure that you get the tattoo from a reputable, well established artist. 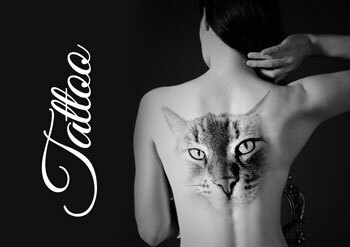 Check out the studio before you make the appointment to get the tattoo. Make sure it’s clean, well-organized and sanitary. While this may not be a medical procedure, it does involve needles, the piercing of skin and blood. Make sure that all the single use, disposable equipment that’s going be used on you is sterile and that the packages are opened in front of you. Reused needles can infect you with any number of blood borne diseases like HIV or Hepatitis. Make sure the artist is wearing gloves and that he changes them any time he touches something that might be infected (which is pretty much anything except the tool he’s using). Once you’ve gotten the tattoo, make sure to keep the area clean for a few days. Treat it like a cut or scrape and keep it covered with a sterile, non-stick bandage. One final piece of advice… Make sure that the tattoo you are getting is something you really can’t live without because you will, in fact be living with it the rest of your life. You may think that the person you’re with now will be your soul mate for life but all of us do and yet half of marriages end in divorce and relationships before marriage have an even higher failure rate. Breakups and divorces are painful enough, don’t add the physical pain of a tattoo removal procedure to the emotional one. This entry was posted in General and tagged Precautions, Safety, Tattoo, Tips. Bookmark the permalink.